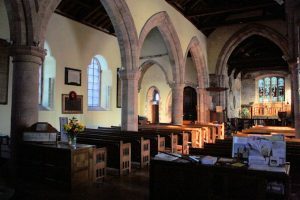 Our Church of St Lawrence is the Anglican Parish Church for the villages of Morland, Newby, Sleagill and King’s Meaburn. The church is open daily from 9.30 a.m. until dusk. Please note that there is a service every Wednesday from 10.00 a.m. until 10.45 a.m., to which you are most welcome. Rector of the eight parishes. See the contacts page for details. and Revd Sheila Clark (see contacts) is our Curate. Follow this link to find out about dates and times of services at this church.